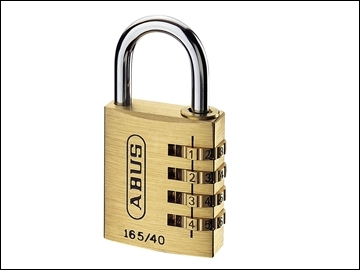 165 Series Combination padlock with 3 digit (20mm & 30mm) or 4 digit (40mm) resettable combination. Tough solid brass body and a steel shackle. Shackle width: 21.5 metre I.D.